The Denver Justice and Peace Committee is dedicated to promoting human rights in Latin America through education, solidarity projects, and nonviolent activism. Expanding on these goals, DJPC has recently formed MineWatch, a group that responds to the issue of gold mining as a human rights concern in Central and South America. What MineWatch does: We at MineWatch are campaigning to hold Newmont Mining Corporation accountable to the people of Peru. Our first step in creating transparency has been spreading community awareness. These outreach efforts have focused on providing presentations to organizations and schools in the Denver area to educate the community about the Peruvian struggle for human rights. 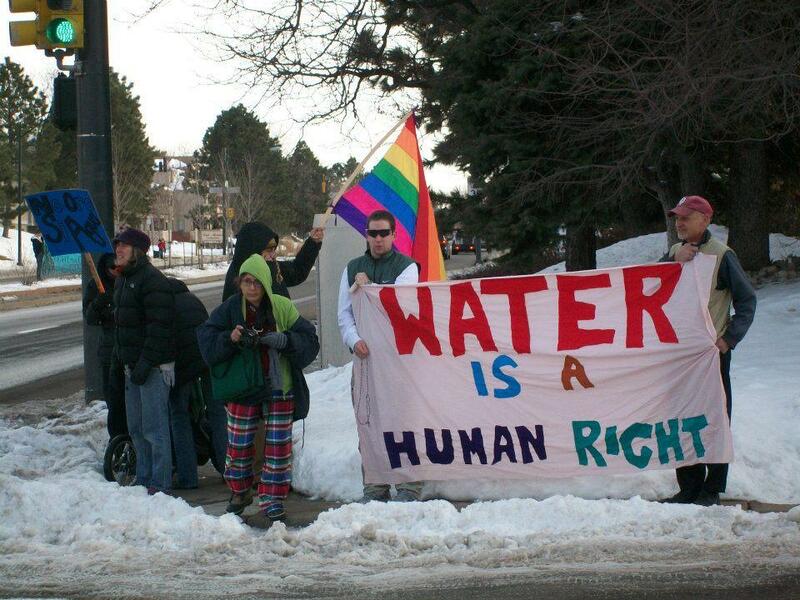 Peruvians, specifically located in Celendin, are protesting for their right to water. They are also protesting against the construction of a new mine, Minera Conga, that would threaten the environment, human/animal health, and ultimately life in Peru. For Peruvians, and every human being on the planet, water means life. Water is a vital resource that people need for nourishment, growing crops and maintaining healthy animals. Water is literally life. Humans can’t live without it. Gold, on the other hand, is not life; humans can’t nourish their bodies, grow strong crops, or feed it to animals. In 1992, Newmont began operations in the city of Cajamarca, beginning what is now the largest gold mining site in all of South and Central America, known as Minera Yanacocha. Yanacocha is an open-pit mine that spans 63,700 acres. That’s the size of nearly 1800 football fields, lengthwise. For the past two decades, the people of Cajamarca have endured environmental degradation and health problems. 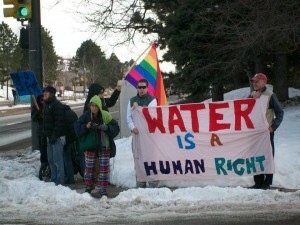 The environmental issues have drastically affected the water in Cajamarca. Yanacocha Lake, which was once at the heart of the mining site, is now depleted. Changes in the water supply have occurred because Newmont’s mining operations require millions of gallons of water each year. And once the water is used, the contaminated water is put back into rivers and lakes. Cajamarcans have noticed water contamination, in the form of acid mine drainage, in which heavy metals have saturated streams and rivers. Several other lakes have dried up and rivers flow at a slower rate, affecting irrigation practices in the region. Environmental destruction is not the only problem that Newmont has brought to Peru. The biggest gold mining corporation in the world has also violated Peruvian human rights. 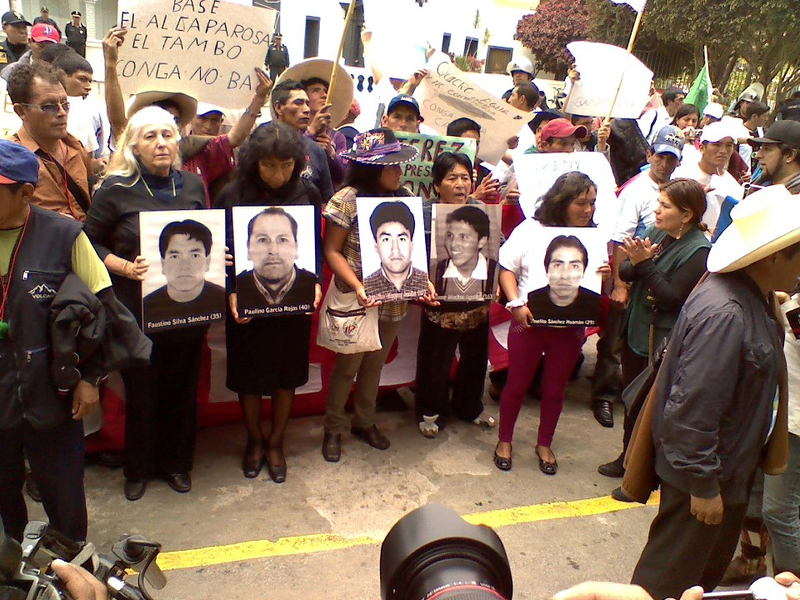 On July 3, 2012, five protestors were killed at a peaceful protest in Lima, Peru. Although Newmont denies responsibility for five innocent deaths, the company has a para-military security group, known as FORZA, which uses lethal force to suppress and instill fear into Peruvians. DJPC’s Colorado/Maya Accompaniment Project of the Sierra (CAMINOS) sponsors human rights observers who accompany witnesses seeking justice in legal cases against former military dictators in Guatemala. Promesa, a program of CAMINOS, is a partnership that seeks to improve overall health and primary care delivery for the isolated rural village of Tesorito, Guatemala, by supporting the community’s own existing health structures, and the local heath workers who serve as volunteers. The CAMINOS Steering Committee oversees these efforts. Guatemala’s 36-year civil war led to the death and disappearance of more than 200,000 Guatemalan civilians and created hundreds of thousands of refugees and displaced people, most of whom were indigenous Maya. CAMINOS was created in 1996 to respond to a request for human rights observers or accompaniers by the “Communities of Population in Resistance of the Sierra” (CPR-Sierra). 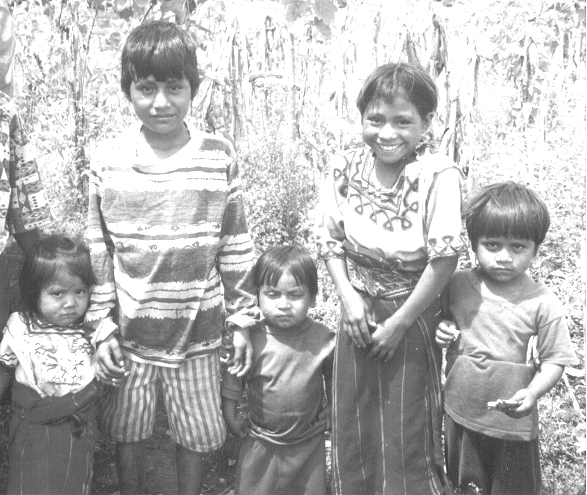 The people of the CPR-Sierra are Ixil and K’iche’ Mayas who survived the Guatemalan Army’s “scorched earth campaign” of the 1980s and fled to remote forests and mountains. For 15 years they struggled to survive; many died from army attacks, illness, hunger and exposure. At the end of the war, with the help of international support and human rights accompaniers, the CPRSierra families came out of hiding to establish new communities across the country. An international presence in Guatemala has become even more important since 2000 as courageous survivors brought legal cases to a Guatemalan court. They are charging former military dictators with genocide against the indigenous population. The witnesses in these cases have formed the Association for Justice and Reconciliation and have requested international accompaniment. CAMINOS has shifted its focus to accompaniment for these witnesses as long as it is necessary. Guatemalans still face the same issues today that were at the root of the armed conflict — widespread poverty, underdevelopment in rural areas, and continued discrimination against the indigenous majority. Justice for victims of human rights abuses committed during the civil war continues to be compromised largely because of a culture of repression and violence that is perpetuated by those in power. 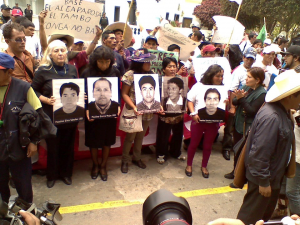 Since January 2000, threats, assaults and assassinations have increased against Guatemalan labor unions, peasant and indigenous groups, and other organizations working for justice and human rights. “We deserve justice. We will continue to struggle until we have it. As long as I’m alive, I will look to that day.” – Jacinta Raymundo, witness in genocide case. Provides human rights accompaniers for witnesses testifying in genocide cases. Responds to human rights abuses in Guatemala through an Urgent Action Network. Facilitates exchanges between people of Guatemala and the US.